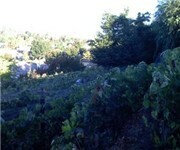 Valley Girl Vineyards began conception in 2002. We had the yard, we had the money, so let's put in a Pinot Noir Vineyard. How Would You Rate Valley Girl Vineyards?